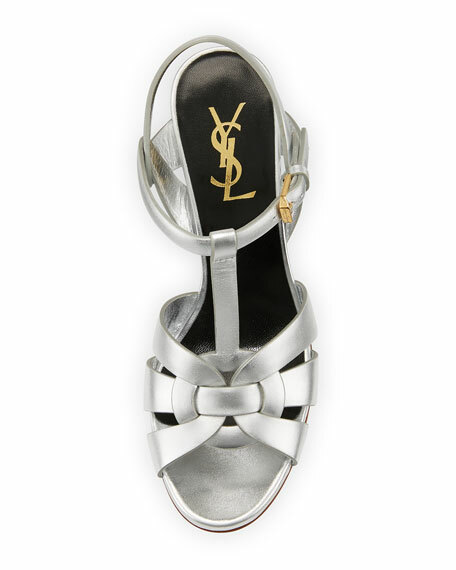 Saint Laurent "Tribute" metallic leather sandal. 3" covered stiletto heel; 1" platform; 2" equiv. T-strap connects to ankle strap.